To put it simply everyone that you meet in your life becomes a jar that you keep in your cabinet called your heart. However fleeting the first encounter might be, each person that we meet gets a jar. In theory, we each get hundred marbles that we can distribute to each of the jars that we have made for everyone that we have met that we are attracted to. As we spend more and more time with people, we find ourselves putting more and more marbles in the jar with their name on it. Because of the limited quantity of the marbles, they have to be taken from other jars. This means that as we move on with our lives and make new romantic interests, we take the marbles from the old romantic interest's jar and put them in the new jar. In some special cases, we deliberately make it hard on ourselves to take marbles out of a particular jar: first love, or perhaps even a lover that we shared big dreams and aspirations with. 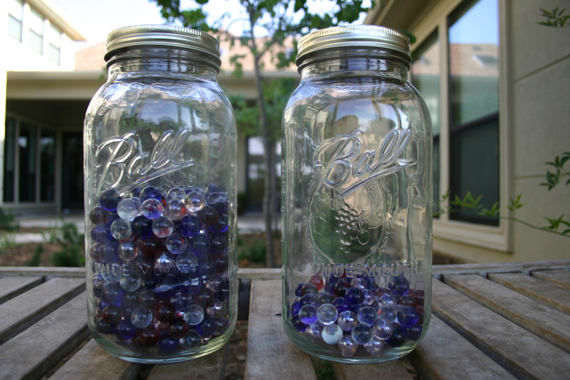 In these cases, the jars have lids on them and they we can not take marbles in or out of these jars. For us to completely move on, we need to let go and open these jars so that we can take the marbles out of them and put them in the new relationships that we make. This is the reason why I hate it when people ask me who I like because there might be a lot of people that I might be interested in. Better question might be to ask me where my marbles are and how many.